Are you a fan of collecting strategy guides? If you are, then you best start collecting those rupees now, as Prima Games has unleashed The Legend of Zelda Box Set, which includes Official Guides for previous titles in the series. Enclosed in a treasure chest similar to those that we've all encountered on countless occasions in our adventures, are six hardcover collector's edition guides for The Legend of Zelda: Ocarina of Time 3D, The Legend of Zelda: Spirit Tracks, The Legend of Zelda: Phantom Hourglass, The Legend of Zelda: The Wind Waker, The Legend of Zelda: Twilight Princess, and The Legend of Zelda: Skyward Sword. Most of these are now out of print, so aren't the easiest to pick up individually. 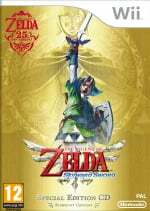 Not only are we to be treated to those wonders, but included in the bundle is a metallic Zelda bookmark, which will no doubt serve some purpose when using your guides; last but not least is an individually numbered certificate of authenticity with a signature and message from Eiji Aonuma. The box set will be available from 26th November in North America and will set you back $152.99; it's also noted that the box set will only be printed once, so it's tough luck if you miss out. Will you be pre-ordering this generous collector's set of items? Let us know in the comments below. Certainly looks nice,and I can see this being quite the collectors item. ..but what about Europe and other regions? Those books are beautiful, and the price isn't even that bad considering most of these guides are no longer sold. I managed to sell my OOT 3D guide (normal edition) for $40. "is a metallic a Zelda bookmark"
Now I just need to make money, fast! These look excellent! Preordered. I'll worry about whether I actually want it or not later. Very nice set though I'm thinking i'd rather invest the cash into the games themselves x3 Maybe these will be worth money some day like that Majora's Mask collection set? It's a nice set, though I have 4 of the guides already. I always preferred the Piggyback guides personally, Their Windwaker guide puts Prima's Twilight princess and Skyward Sword to shame in terms of content and size. Looks pretty cool. Preordered off Amazon.ca for 129.77 so not too bad. Canadian's we actually get a better deal on Amazon.ca I just pre ordered mine for 129.77. @Goginho Tough crap for us, as usual. I was really impressed with how the authors designed the overworld map layout. It folded out in multiple pages and included "stickers" to identify caves and fairy fountains. The authors also omitted the last three dungeons from the guide and the entire second quest. I think their intention was to motivate players to map out the dungeons themselves. Had they included blank grid pages for those dungeons, this guide would have been near perfect, although it wasn't a problem for me and a friend to use some graphing paper when we were younger. 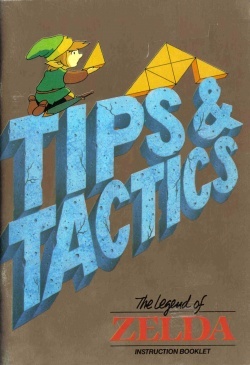 Seeing the design of this new guide package really excites me because I imagined the NES Zelda Tips and Tactics guide as a hidden "map & compass" for someone fresh to the game. I have this desire to hide portions of the guide (probably photocopied pages) for my daughter to discover through real life accomplishments, that is if she ever cares to play Zelda and never finds out about GameFAQs. I believe that came free with an issue of Nintendo Power as I remember getting one in the mail with an issue a long time ago. Hmm.. What materials comprise the chest? Holy crap! 153$? I'm out. @FishieFish what do you mean amazon.ca gave the middle to the Hyrule Historia for you? well i dont know what to say about that other then the fact i got that book from amazon.ca, perhaps they canclled it to outsiders that preordered it? 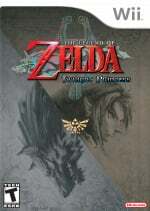 @DarkLloyd ditto - I had zero problems with amazon.ca when preordering Hyrule Historia last summer. Also - I slapped down my $136.26 for this box set yesterday! 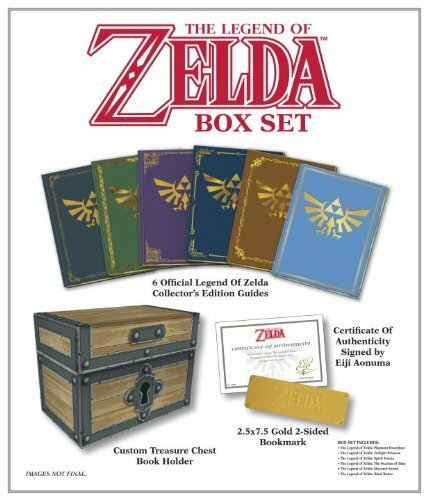 Very cool and nice looking set, but I've beat and basicly memorized all those games, the only one I haven't yet is Skyward Sword (which saddens me ) So, this wouldn't be worth it to me, but to a HUGE Zelda fan, this and Hyrule Historia would be must own books. That price for the entire series maybe but for just those? No I cannot afford that. 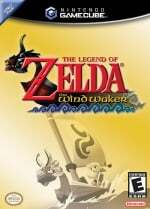 A realistic price tag, but still a bit much... and I don't even need any of these guides since I know Wind Waker and Twilight Princess in my Sleep while I never liked the others. Even though I'm a human Zelda guide, I will not miss out on buying this like I did for Hyrule Historia. Dam no won of Swedish store vill gett this, or Orla Madden kan you or sombody else give me a link for Swedish ? I have all of these. What I want is a printed copy of the Hyrule Historia!